The “new for old” prison reform programme would close old city-centre jails in British cities, such as the iconic HMPs Pentonville, Wandsworth and Strangeways. Speculation about what will replace these notorious Victorian “houses of correction” has been rife. These and more recent prisons also slated for closure, such as HMP Holloway, occupy valuable city centre sites. Some will be bulldozed or redeveloped as housing – or even, as with the former HMP Oxford, as a boutique hotel with rooms designed around the former cells, exercise yards and punishment blocks. Other former prisons have experienced more imaginative, if tacky, transformations: the former HMP Shrewsbury is open for tours and “prison experience days” (porridge presumably included), while “escape events” see customers don a striped jumpsuit to “do time” in prison confinement from which they must escape. The former HMP Canterbury has been purchased by Canterbury Christchurch University and is to be turned into student accommodation. In truth the closure of the Victorian prison estate will cause little sorrow among those who have served in it at Her Majesty’s Pleasure, and though the public have fond memories of the escapades of Norman Stanley Fletcher at the fictional HMP Slade, these soot-blackened monoliths of the nineteenth century penal imagination have rightfully been condemned as unfit-for-purpose. But what will take their place? In his announcement, Secretary of State for Justice Michael Gove said his aim was “to design out the dark corners which too often facilitate violence and drug-taking… and build a prison estate which allows prisoners to be rehabilitated”. Prime minister David Cameron pledged to create a prison system that doesn’t see prisoners as liabilities to be managed but as potential assets to be harnessed. Bold rhetoric from a Conservative government. But how can the nine new modern facilities be designed in such a way that they can transform broken lives? Certainly the sterile warehouse model of the most recently built jails, such as HMP Oakwood near Wolverhampton, makes them feel rather like vast, bland depots. The anodyne mega-prisons built in the last few years have done little to convince anyone that governments have had any aspiration for convicted offenders beyond a desire to, as it is known in Australia, “pack ‘em, stack ’em and rack ’em”. Ministers would do well to turn instead to Europe where prisoners are given a much greater level of autonomy and freedom of movement, and required to be independent, responsible citizens. The discussion we need to have about the purpose of penal architecture is long overdue. When Lord Carter’s proposals for the building of “titan prisons” were shelved in 2009 amid claims they would be little more than people warehouses, the promised alternative was small units within a shared secure perimeter. But the powers-that-be appear to have returned to the bigger-is-better approach, perhaps seduced by the private sector’s offer of accommodating 1,600 prisoners for just £12,000 per head, per year. The national average for Category C inmates is £20,000. HMP Oakwood cost roughly the same as Halden Prison in Norway. 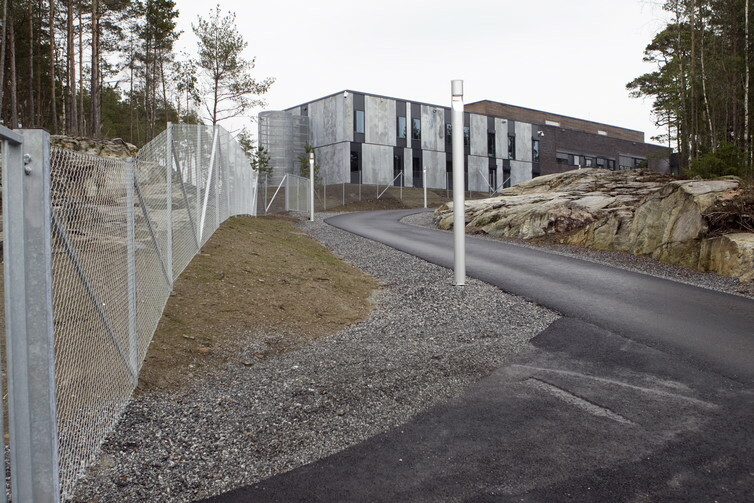 Halden holds around 250 prisoners and has been likened to an Ikea showroom, with wraparound sofas, birch coffee tables, state-of-the-art lighting, wall-mounted televisions, stainless steel kitchen fittings and long, vertical, bar-less windows. Many people in the UK might consider Halden an inappropriately extravagant indulgence considering its anti-social inhabitants. But the prison’s designers argue that society sends criminals to prison as punishment – not for further punishment once there – and that prisons that more resemble the world outside offer prisoners a better chance of successfully reintegrating into society upon release. In Denmark, for example, many prisoners have never learned to cook, but are expected to shop for and prepare nutritionally balanced meals for themselves every day in prison. Belgium has introduced PrisonCloud, installing personal computers in cells so that prisoners can study, maintain contact with their families, and plan their post-release lives. Gove is said to be considering a similar proposal. This is not about making prisons “softer” or less of a deterrent to criminals. Normalising prisons is essential if they are to be more than human warehouses that return offenders to society with their lives even more fractured, and their life chances even more reduced, than when they were admitted. The short-term and long-term costs of imprisonment – human and economic – are staggering and unsustainable. Between 1993 and 2014 the prison population in England and Wales increased by more than 40,000 people, a 91% rise. Today it stands at approximately 85,636. If the government is serious about reforming the prison system and “finding diamonds in the rough and helping them shine” this ambition must be built from the ground up. Britain has a once-in-150-years opportunity to design a new prison estate that provides environments that are safe and secure but also sensual and stimulating, for inmates and staff. Prisons that provide opportunities for education and meaningful work, but that also promote values such as empathy, trust and hope. If we take this opportunity, we have a real chance not only of transforming lives, but of reversing the inexorable rising tide of prisoner numbers that we have seen in the UK over the last 35 years. Tagged building better prisons, Halden Prison Norway, HMP Holloway, HMP Pentonville, HMP Strangeways, HMP Wandsworth, Lord Carter, prison reform, prisons, Yvonne Jewkes. Bookmark the permalink.